It’s been very wet this winter, as it was last year. More rain seems to be a part of life now. Which means water damage to homes and businesses across the UK is becoming more common. 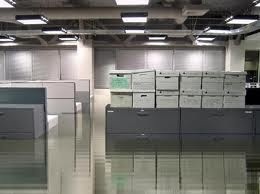 So we thought we’d provide some top tips on how to avoid flood damage to your vital business records. Keep your paper files stored on the top shelf. Paper is most susceptible to water damage so you could make sure all your valuable documents are on the top shelves, or indeed on top of filing cabinets. Of course this means you’ll need ladders or only employ tall people. Always take the penthouse. If you are moving office make sure it’s on the top floor. Pay the premium, get the views and smirk when the ground floor tenants get washed out. Go paperless. Paper is old fashioned anyway. Scan any documents you have or get a great supplier to do it for you. Make sure everything is digitised and keep the data in the ‘cloud’, but not the ‘rain cloud’ obviously! Sorry, bad joke but couldn’t help it. It also means you could have a virtual, flood proof, office on a nice warm beach somewhere. 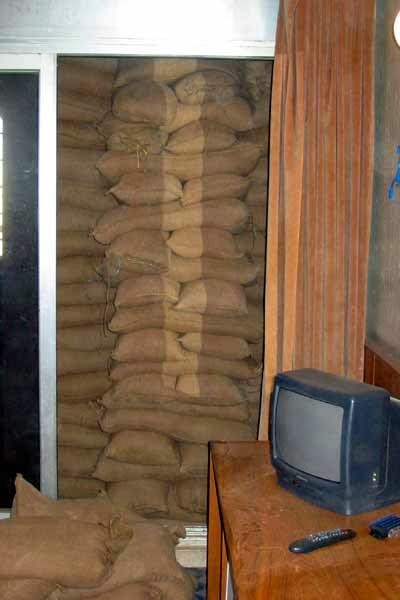 Sandbag the office – permanently. This one also means that if we are invaded you’ll be ready to repel the invaders from your bunker. Just don’t worry about it. Keep some wellies handy and use a flood as an excuse to stay at home with your feet up. OK, so the last one is ridiculous for any business. However, you’d be surprised how many clients we have seen who just thought it wouldn’t happen to them. Also it may not be the rain that caused the water damage but a leaking pipe or the fire-fighters response to a fire in the office above. Whatever disaster may befall you ask yourself how you will recover your valuable paper records? If you need help with dry and secure document storage or document scanning give us a call – we are very good at both!